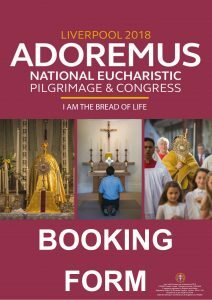 Where possible, please make your booking through your parish representative or your Parish Priest. Payments may be made directly to your parish. If you are booking as part of a school, please do so via your school. Payments can be made to school. If you are a member of a religious congregation, you can apply directly to the Diocese and send any forms and payment to the Diocese to Helen Jones (details below). Please could Parish Representatives email, scan or send all completed forms to Helen Jones (details below) as soon as possible.